Costing a new business software solution is a massive part of the implementation process, but not always the most straightforward. Basing your budget on a software’s ‘starting from’ prices without taking into account other potential outlay surrounding the rollout could lead to some nasty surprises when it comes to costs. 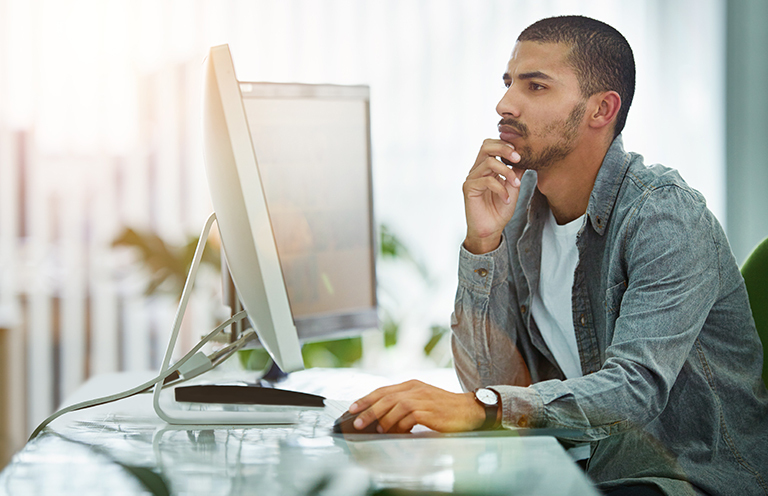 There are many hidden costs to software ownership you might not have considered, but knowing about these costs are crucial to working out an accurate picture of ownership. Not factoring in these additional expenses can undercut your potential return on investment in a big way. Let’s take a look at the total cost of ownership of your new Microsoft Dynamics 365 solution. The first step to an adequately costed implementation is working out the total price of the software itself. Dynamics 365 offers a number of licensing options, depending on which functionality you need, and which apps you want to use. Featuring access to the full range Dynamics 365’s ERP and CRM apps, the Dynamics 365 Plan is the most comprehensive and cost-effective option for businesses that need software to manage both their customer-facing and backend operations. An ERP-focused plan, the Unified Operations bundle contains apps required to manage aspects such as finances, manufacturing, distribution, retail, and human resources. A good option for businesses wanting to manage their customer relationships, Customer Engagement brings together apps for sales and customer service. Users not looking to operate significant portions of their processes through Dynamics 365 can also opt to license individual apps. Dynamics 365 is licensed per user, so once you’ve selected the most appropriate plan for the requirements of your organization, you’ll need to determine how many people will need to use the solution, and to what degree. Dynamics 365 features a number of licensing packages, each with a different level of access. Purchasing the right type of licenses for your users can save you a lot of money, and eliminates the need to shell out on a full license for users who may only require reading access. Team Member — can perform basic processes and share knowledge. Operations Activity and Operations Devices licenses are only available for ERP apps, and as such do not apply to the Customer Engagement Plan or individual app purchases. To help work out licensing costs for your business, we’ve created a Dynamics 365 licensing calculator. Simply enter the number of users you need for each plan or app, and find out the total cost instantly. Since Microsoft walked back its initial stance that Dynamics 365 would be available exclusively as a cloud-based product, users can also opt to host the software on their own internal services. Cloud software often works out significantly cheaper than its on-premise counterparts, and a lot of this has to do with the continued costs of maintaining the in-house hardware required to run it. Processor — x64 architecture or compatible dual-core 1.5 GHz processor minimum. Quad-core x64 architecture 2 GHz CPU or higher such as AMD Opteron or Intel Xeon systems recommended. Memory — 4-GB RAM minimum, 8-GB RAM or more recommended. Hard disk — 10 GB of available hard disk space minimum, 40 GB or more of available hard disk space recommended. If your current hardware isn’t capable of running Dynamics 365, you’ll need to think about upgrading them. Don’t forget to think about maintenance if hosting Dynamics 365 on-premise; will you need someone to maintain this hardware? Will you need to hire someone to work in-house or will you outsource this task? You should also be aware that implementing on-premise means you won’t have access to much of Dynamics 365’s business intelligence capabilities, so you also may need to purchase add-ons or additional services to make up this shortfall in functionality. If you opt for a SaaS version of Dynamics 365, hosted and deployed by Microsoft, you may need to think about cloud storage costs. Just because your data isn’t on your own servers doesn’t mean it’s not taking up space on someone else’s, and cloud space comes at a premium. Luckily, Microsoft’s standard cloud storage allowances are more generous, and its additional costs notably lower, than many of its CSP competitors’. Each Dynamics 365 license comes with 10GB of cloud storage, with an extra 5GB added for 20 users. If you need extra space, it will cost $50 per month for every additional 10GB. There are other add-ons available in Dynamics 365 that you may need to think about factoring in too. Both the Unified Operations Plan and the Dynamics 365 for Retail app come with one Sandbox Tier 1 and one Sandbox Tier 2 environment per customer. If you want to add a sandbox to any other plan or product, you’ll need to fork out for a $150 per month subscription required for every sandbox instance. Dynamics 365 also enabled users to set up portals, which can be configured to provide self-service web portals for customers, partners or employees. The Customer Engagement Plan comes with one portal per customer, and additional portals can be purchased at a cost of $500 per portal, per month (unused view capacity expires at the end of each month and does not roll over). Each subscription price for each portal includes up to 1 million views per month, and additional views can be purchased in increments of 500,000 per month. Software implementations, whether on-premise or cloud-based, can be extremely challenging without an expert on hand to help. Failed implementations can be massively costly, and disruptive, to businesses, so the stakes are high when it comes to getting it right. The cost of engaging an implementation professional to help guide you through can vary enormously depending on the size of your organization, and of your new solution. Generally, though, implementation costs will start at around $10,000 for a relatively simple, out-of-the-box solution. Most Microsoft partners charge $150-$200 an hour for their services and base their quotes on the hours required for the job. So, as an example, if your implementation project takes 80 hours of work, you’re looking at a ballpark figure of $15,000. This is merely a starting figure, however, and implementation costs can rise sharply depending on the size of the business, user numbers, and the complexity of your system. Overall costs can easily exceed $250,000 for mid-sized companies, and can reach upwards of $1M for enterprises and large businesses. For a tailored implementation estimate, contact some of your local Dynamics 365 implementation partners for quotes. No two businesses are the same, and it’s likely that you’ll need to customize and configure your Dynamics 365 solution to meet your specific needs. Dynamics 365 isn’t a cookie-cutter software, and allows users to tweak and modify apps so that it looks and works exactly the way you want. This could mean making changes to the interface, creating custom reports or workflows, or setting up new dashboards. Of course, these sorts of customizations come at a premium, and the more modifications you need to make to your solution before launch, the more expensive your implementation will be. Dynamics 365 integrates seamlessly with many other Microsoft products, such as Office 365, email client Outlook, and formidable business intelligence service Power BI. Utilizing products that share a familiar interface and a common data model can help your business get more out of its data, and allow your team to be more productive by removing barriers between the programs they use every day. If you’re kicking off your digital business transformation with Dynamics 365, it might be a good time to look at implementing some other productivity tools that will work closely with it. If you think connecting your Dynamics solution with a Microsoft productivity suite might benefit your business, Office 365 is available via several plans to fit both small companies (>300 users) and enterprises (unlimited users). Apps Web versions of Outlook, Word, Excel, and PowerPoint. Desktop versions of Outlook, Word, Excel, and PowerPoint. Desktop versions of Outlook, Word, Excel, and PowerPoint. Services Exchange, SharePoint, OneDrive, Skype for Business, Teams, and Yammer. None. Exchange, SharePoint, OneDrive, Skype for Business, Teams, and Yammer. Devices 1 device. (Office mobile apps can be downloaded for free, but without login, users can only view and print, not edit.) One license covers 5 phones, 5 tablets, and 5 PCs or Macs per user. One license covers 5 phones, 5 tablets, and 5 PCs or Macs per user. OneDrive Storage 1TB per user. 1TB per user. 1TB per user. Email Hosting Email hosting with 50 GB mailbox and custom email domain address. None. Email hosting with 50 GB mailbox and custom email domain address. Apps Desktop versions of Outlook, Word, Excel, OneNote, Publisher, Access and PowerPoint, plus web versions of Outlook, Word, Excel, and PowerPoint. Web versions of Outlook, Word, Excel, and PowerPoint. Desktop versions of Outlook, Word, Excel, OneNote, Publisher, Access and PowerPoint, plus web versions of Outlook, Word, Excel, and PowerPoint. Desktop versions of Outlook, Word, Excel, OneNote, Publisher, Access and PowerPoint, plus web versions of Outlook, Word, Excel, and PowerPoint. Services OneDrive, Skype for Business. Exchange, OneDrive, SharePoint, Skype for Business, Teams, Yammer. Exchange, OneDrive, SharePoint, Skype for Business, Teams, Yammer. Exchange, OneDrive, SharePoint, Skype for Business, Teams, Yammer, Power BI Pro. Devices 5 phones, 5 tablets, and 5 PCs or Macs per user. 5 phones, 5 tablets, and 5 PCs or Macs per user. 5 phones, 5 tablets, and 5 PCs or Macs per user. 5 phones, 5 tablets, and 5 PCs or Macs per user. OneDrive Storage 1TB per user. 1TB per user. 1TB per user. 1TB per user. If you have team members who only need access to reports, implementing Power BI could save you money on licenses; in addition to offering extensive business intelligence, data visualization, and analytical features, integrating Power BI with Dynamics allows Power BI users to access reports utilizing Dynamics 365 data without needing an additional Dynamics license. That said, Dynamics 365 does integrate with a wide variety of third-party programs, so using other Microsoft products is not a necessity. The traditional way of training up your team is to learn from a live expert. Instructor-led, classroom-based training can give your employees hands-on product experience, with the added benefit of having a specially trained expert on hand to answer questions. Classroom training often features group activities, and discussions, which can also be useful for getting the skills learned in training to stick. There are some companies out there that offer instructor-led end-user training for Dynamics 365. A good training company will work with you to identify your training needs, and plan a bespoke training program around your team. Some companies will also send instructors to you for on-site training if traveling off-site isn’t an option. Which type of training is right for your organization will depend on how many people you need to train, and the kind of learning with which they’re most comfortable. Many training companies recommend small groups of no more than six be taught at any one time to ensure trainees get the most out of the session. If you have a large number of employees, live instructor-led training may not be the best option. Hiring a trainer on a contracted basis is likely to cost on average $50-$150 per hour, depending on how many people are to be instructed, whether this training will take place onsite or online, and the extent of the training to be administered. Another popular training option is e-learning. E-learning offers a considerable number of benefits, including reduced costs and expenses, and the convenience of learning in your own time. Microsoft offers online courses as part of its Microsoft Virtual Academy program, where users can view a series of short, informative videos and download transcripts of the training guides. The majority of the Dynamics 365 MVA guides are geared towards beginners, covering the basics of the major Dynamics 365 apps, but there are also some deeper-dives into areas such as reporting, integration with other Microsoft products, and even a specially made user adoption guide.All courses on the MVA are free and available to anyone, and once you’re registered, you can take quizzes and assessments to test your new skills. Supporting materials for each video course can be downloaded for additional training and reference. On-demand video training sites such as Udemy and LinkedIn’s Lynda also have Dynamics 365 training courses available. Ranging from “first look” introductory level guides, up to advanced techniques, two of Lynda’s courses feature a focus on LinkedIn’s integration with Dynamics 365. Udemy sells its training courses individually, usually priced at around $15-$20 per course. Lynda requires organizations to sign up to a plan, the cheapest of which costs $25 per month. If you’re looking for native, long-term support for your Dynamics 365 users, digital adoption software such as Iridize, Toonimo, or WalkMe could be an option. These programs are built to help users get to grips with new platforms on the job, and offer walk-throughs, practical real-time assistance, and contextual step-by-step instructions on how to use features. WalkMe subscriptions start at around $800 per month, with Toonimo starting at approximately $200 per month. Alternatively, if your team is relatively small, you could opt to train one “superuser” who can help trickle-down skills to their colleagues over time, allowing employees to learn from someone they might be more comfortable with, at their own pace. Sending an attendee to a user training courses will usually cost between $600-$1,800 per user, depending on how many days the course takes place over. You should also consider whether or not you have the skills in-house to be able to operate and maintain your new Dynamics solution. Depending on the size of your organization, your system “superuser,” could ostensibly act as your in-house point of contact for all things Dynamics, helping your team access the information they need, running reports, approving any updates, and performing basic configuration and security tasks. However, if you think that this will prove to be too much work for one person to take on in addition to their current role, you may need to hire a full-time administrator. An administrator is essentially an overseer for your entire Dynamics solution. They will manage roles, permissions, updates, security measures, create reports and extract the data you need, set up disaster recovery plans, and be your go-to person for keeping the system running the way it should. How much it’ll cost to get a good Dynamics administrator on your team varies depending on how much experience they have, and where your business is located, but on average you’d be looking at paying around $55,000-$70,000 for an intermediate Dynamics 365 administrator. Depending on how large your organization is, and how specialist its needs will be when it comes to running your new solution, you may also want to think about employing a developer. A developer can help deploy, modify, and integrate your solution with other platforms, making sure it fits your requirements more closely by building custom-made parts and features. Again, salaries for developers will vary by geographic location and experience. However, according to Nigel Frank’s 2017/2018 Dynamics Salary Survey, the average salary for a mid-level CRM developer in the US is around $109,000, and around $99,000 for a mid-level ERP developer. Even if you don’t believe you’ll need skilled Dynamics professionals in-house full-time, it’s highly likely that you’ll need to engage with one at some stage to improve your solution’s functionality as the requirements of your business grow and change. The easiest way to get these incidental jobs done when the need arises is by employing a contractor. Again using data from the 2017/2018 Dynamics Salary Survey, the hourly rate for a Dynamics developer is likely to be around $65-$150, depending on experience. Of course, you can’t predict what kind of changes and customizations you might need further down the line, so factoring potential contracting fees into your TCO budget is difficult, but it’s something to keep in mind. The Enhanced Support add-on guarantees a response within two hours (within local business hours) and gives users access to priority routing, webinars, and CustomerSource, a repository of online training resources. Professional Direct Support includes everything the Enhanced Support plan does, but guarantees a response within one hour, 24 hours a day, seven days a week. Users can also access a dedicated Service Delivery Manager to provide ongoing support. Professional Direct Support costs an additional $9 per user, per month, for every app you require support for. As well as everything included in the lighter plans, Premier also provides cloud service dependency mapping, major incident response planning, remote diagnostics, and reporting, mentoring, and onsite services. Microsoft does not publish its support subscription costs, so remember to speak to Microsoft or your Dynamics 365 partner of choice to get an estimate if additional support sounds like something your business might require. Calculating total cost of ownership: an impossible task? The often unpredictable and complex nature of software implementation and ownership means being able to generate a precise and unchanging estimate of your total cost of ownership can be like trying to pin a medal on a shadow. Nevertheless, it’s essential to map out all the areas in which you may face additional costs, and get some idea of what those costs might be to minimize any unpleasant surprises further down the line. 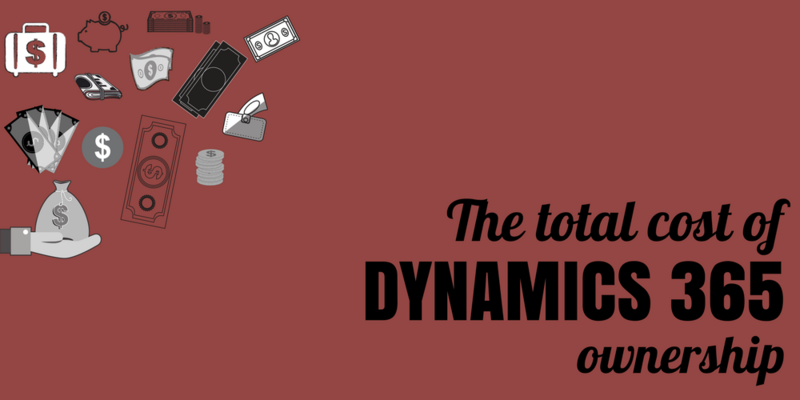 Having an idea of your TCO is also crucial for calculating your return on investment, and making sure your new Dynamics 365 solution is providing the efficiency and value to your business that it should. Business planning software is a big investment; if you’re considering implementing Dynamics 365 for your business, you’ll need skilled professionals to help you get off to a flying start.Browse our candidate database for free, and find talented Dynamics professionals who can help you make your implementation a success.